Setting up an eBird account is free and easy. Do you use the range maps in your field guide to help you in identification? Did you ever wonder how those range maps came to be? 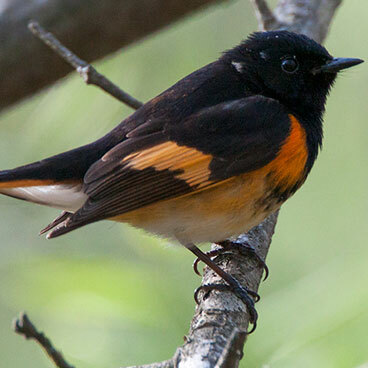 Birders share their sighting information to contribute to the common good. Shared information is compiled into seasonal reports for publication in The Bluebird which is then combined with data from Iowa to create the Iowa/Missouri regional report for North American Birds. Combined with what has now become an enormous accumulation of bird data in eBird, field guide authors now have a wealth of information available to provide these maps to you. For many years data for birding trips to Missouri state parks and MDC conservation areas (CACHE/SPARKS) were captured through this website and shared with eBird. In late 2014 all data entry was switched to the eBird application and various tools were used to provide information back to our readers (see Birding by County). eBird Missouri now provides this functionality not only for data entry but to maintain articles of interest to Missourians. You can see at a glance the counties that have the most birding activity. Photos of recent rarities are immediately available. Information is available for exciting birding areas beyond the scope of the CACHE and SPARKS projects. Explore this great resource.